If you have an intense fear of drowning, this ad is not for you. 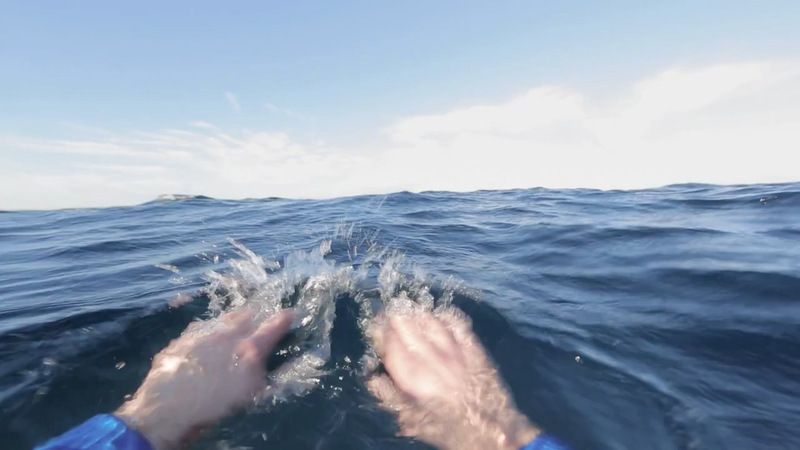 Paris agency CLM BBDO created "Sortie En Mar," or "A Trip Out to Sea," a vivid, first-person simulation of a man being accidentally thrown off his sailboat in deep water—all as a life-jacket PSA for Guy Cotten, a marine clothing brand based in France. As the viewer, you'll be drawn in, tasked with continually scrolling your mouse or trackpad to keep the man's head above water. You will not make it very long. And if you do, it will not matter—this story ends only one way. It's very dark but incredibly compelling, and one of the more clever instances of marketers making users perform repetitive actions online—vaguely reminiscent of endurance-based advertising like Peugeot's digital knockoff of Hands on a Hard Body a few years back (only it's infinitely less dumb). As scare tactics go, it doesn't get much better than this. Perhaps it will even sell some high-end life jackets—or even some regular ones, too. The teaser video is below, but visit the interactive site for the real experience.